What Is The Appropriate Time For Home Security System Upgrades? Posted on: In: Blog | Comments Off on What Is The Appropriate Time For Home Security System Upgrades? 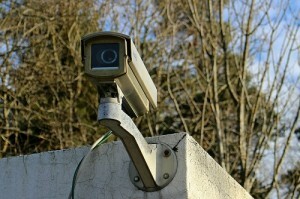 Many homeowners get really excited about the installation of a new security system. However, over time, most of them usually end up not using their security systems to the fullest or even worse, failing to maintain and update the systems to ensure that they are working effectively. On that note, you need to encourage your family to make effective use of the home security system. A family that gets into the habit of using the alarm system stays safe. While that is a good thing, it is important to note that the security system can become outdated over time. Older security systems are usually vulnerable to malfunctions and may not perform effectively. These systems can be easily disarmed by savvy criminals. They also have exposed wires that can be easily cut. Upgrading your home security system is recommendable because it comes with high-tech features that make your home safer. Most people think that home security system is among the once-in-a-life-time things that people put their investment. Sadly, they are wrong. Home alarm systems are just as good as any other home appliance that becomes less effective over time. That means you have to replace them over time just the same way you would buy a new appliance. Therefore, if your security system is more than a decade old, you may consider upgrading it. Simply get in touch with one of the security companies in Montreal to have your security system assessed and evaluated. Before mobiles were made and wireless systems were introduced, all alarm systems pretty much relied on land lines. They were managed through landlines. The problem with this system is that it involved use of wires that could be easily cut or manipulated otherwise for selfish reasons. However, modern security systems work through cellular transmissions. Messages are sent or received via a large cellular network. As such, they are not easily corruptible. Therefore, if you are still using a landline security system, you may consider adding cellular security system to your home. Just like the cellphones, alarm systems relying on cellular transmissions previously operated on 2G technology. However, change in technology has seen the introduction of 3G and 4G, which are by far better than 2G. Most early alarm systems were fitted with 2G transmitters, which are incompatible with the modern technology that uses 3G and 4G. You should note that a good number of carriers are already working on clearing off 2G network. This means that any alarm system using 2G technology will be utterly useless once the 2G technology has been completely wiped off. Upgrading your alarm system will allow you to enjoy the perks of 3G and 4G technology. A basic alarm system is the kind that only offers you basic services such as burglary and fire alert. With numerous risks out there, you would not want your alarm system to only serve two purposes. Modern alarm systems allow you to monitor your home remotely and provide you with features that you can easily access on your mobile device 24/7. By consulting with a security expert, you can learn more about your security system and know the areas that require an upgrade. A good home security system gives you confidence when you are at home with your family or away attending to business matters. On the other hand, a poor security system leaves you worried and anxious, which is not good at all. By looking out for these four key elements at home, you can tell whether your home security system needs an upgrade. Consulting with a security expert is also an effective way of determining the need to upgrade your security system. There are two periods that businesses are usually more susceptible to robbery: the opening and closing times. Staff members also go out at certain times of the day to the bank, which adds to the period of security vulnerability. Even though there have been many robbery cases through the years, the good news is that you can take preventive measures to ensure that your business stays safe. 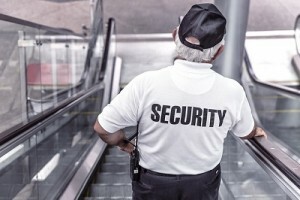 Here is a look at some tips for protecting your staff and business premises, and minimizing the risk of becoming a criminal target. As reports indicate, business owners who went to the bank or withdrew considerable cash regularly became criminal targets with some of them actually getting robbed in the process. This is very unfortunate because it affects business operations that rely on effective cash flow. You can avoid this by creating an irregular bank visit pattern. That way, criminals who keep an eye on movements of the business will not be able to tell when exactly you are going to be depositing or withdrawing cash from the bank. You can also ask one staff to tag along to be safer. Always check for any suspicious characters or cars nearby before leaving any financial institution. This is to ensure that no one is following you. There have also been cases where owners of businesses have been robbed just about the time of arrival or departure from the workplace. That is why it is crucial to always keep an open eye and be vigilant. This makes it possible to identify suspicious characters or cars lurking near your premise. If you notice any unusual activity, you can drive round the block to see if the suspicious characters are still there when you get back. If you find them still within the vicinity, you may go ahead and alert the cops as well as your security company. You can also opt to hire security patrol services in Montreal if you feel like you have been a target for some time. You can also subscribe to get notifications whenever your staff access or leave the business premise. When you sign up for the SMS service, each of your staff will be given a Pin number that will prompt SMS notification anytime they access the office. In case the alarm system is not turned on or off at the usual opening and closing times, your security service provider will pick the issue out and ensure you get an alert via the SMS. It is advisable to carry out regular tests to see how the alarm system works. If for any reason the alarm is not effective, you may consider security system upgrade. There are quite a number of effective security options that can help make your business premise safer. For instance, you could install highly efficient surveillance cameras. Surveillance cameras really deter crime and come in handy when the police are doing an investigation. It is also important to provide up-to-date data to your security company. If there are any changes to the business premise, notify them within the shortest time. Business hours tend to change their operation hours a bit during the holidays. Ensure your security company is aware of any change in the operational hours of your business during holidays. Your business will face security threats over time. Luckily, you can take a few precautions to ensure you do not fall victim of criminal activities. Hiring a good security company and installing an effective security system in your business are effective ways of combating security threats. With these two in mind, these tips will help you minimize the risk of being targeted. Security cameras play a unique role in monitoring the activities of a place within a certain period. As such, it is important to ensure that there are exterior and interior cameras taking in lengthy footage. With high-tech surveillance cameras, you will absolutely have peace of mind when you are at your condo or out running errands. If anything happens, you can always be sure to get solid evidence of all the activities that happened around your property. Furthermore, police officers will have an upper hand when tracking down criminals. A safe and secure entrance system is also important. If you do not have a safe and secure system, you are likely to be faced with problem of trespassers. There should be no such thing as free entry to a building. In fact, access should be denied. That way, any potential intruder will be more hesitant to access the building. This is where security professionals come in handy. When you hire security companies for services, you will not only have guards at the gates but also patrol guards upon request. Security companies offer highly trained and experienced personnel who guarantee maximum condo security in Montreal. Therefore, you will always feel safe at home knowing that no unauthorized visitor can access your condo. 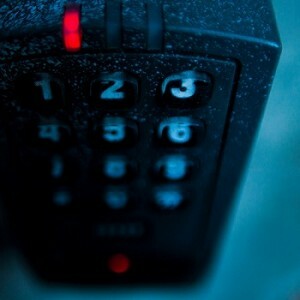 Access control is a vital part of the condo security system. It helps you track people accessing your condominium. Access control limits people who can access your condo. Therefore, if you are the only one with permission to access your condominium, no one will able to access your apartment without tripping the alarm. As you can see, it is definitely important to get yourself an effective access control system. By consulting with security experts, you can get the best system installed in your condo and any other additional service you may wish to acquire such as VIP protection. These additions make your condo more secure. Smoke sensors play a vital role in saving numerous lives every day. Condos are typically characterized by thin walls and close quarters that can easily catch fire allowing it to spread faster. This may result in a sudden devastation. Smoke sensors detect smoke and fire at the earliest stage and alert everyone in the building of an imminent fire. This makes it possible to respond to the situation faster and notify people so they can all be evacuated safely outside the building. When you have a well-rounded condo security system, you can easily monitor your alarms. That way, if an intruder happens to go past the gate and bypass the access control, your security company will be notified right away so they can take an appropriate action to deal with the security threat. Security companies have a list of people who can get notifications when there is an intruder alert. Essentially, monitoring the alarm systems gives you a heads up so you can respond effectively. These are some of the advantages that you can get with good condo security system. If you want to get the best security for your condo, you should definitely consult with reputable security service providers.